Helensburgh Private Hire offer a friendly service for all your special occasions. We also welcome business & corporate clients. 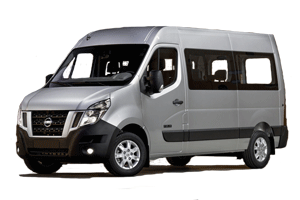 The vehicle your group hire can carry 8 passengers in comfort. Once Helensburgh Private Hire, a trading name of Glasgow Coach Drivers Limited, hereinafter referred to as "the Operator", confirms your booking a contract is made between the Operator and you upon the terms and conditions set out below. Your statutory rights are not affected. In a booking with more than one passenger the 'lead passenger' will be deemed to have accepted the terms and conditions on behalf of all passengers within the booking. The 'lead passenger' is the passenger who makes the booking on behalf of all passengers in a multi-passenger booking and is named in the 'lead passenger' field within the booking. Within these Booking Conditions, "you" and "your" means all persons named on the booking (including anyone who is added at a later date). 1.1 The Operator accepts a booking on the understanding that a deposit or full payment has been collected and held either by the Operator directly, or by an authorised travel agent on the Operator's behalf. Bookings made via the Operator's own website are considered as made with the Operator directly. 1.2 On confirmation of your booking, subject to availability and at the Operator's discretion, the Operator will reserve your place(s) on your selected products ("tours"). It is your (or on bookings involving more than one person, the lead passenger's) responsibility, as the customer, to check the accuracy of your booking and travel dates. A contract is only made between you and the Operator upon your booking being confirmed and accepted and communication thereof to either you or your authorised travel agent (hereinafter referred to as "confirmation"). 1.3 On confirmation of your fully paid booking a Booking Statement indicating the amount paid and an Itinerary will be sent to either you or your travel agent. 1.4 If you wish to book to travel at student prices, you must have an ISIC, ITIC or ISE student card, valid at the time of travel. 2.1 The Operator's Itineraries/Booking Statements confirming 'Full Payment' are not transferable. Your Itinerary/Ticket/Booking Statement indicating that full payment has been made must be produced at any time at the Operator's request. Photo identification is required for all tours. 2.2 Baggage is restricted to one reasonable sized suitcase or backpack and one small carry-on bag per passenger (maximum combined weight 15KG). Baggage in excess of this limit may not be carried. 2.3 It is your responsibility to check-in with the Operator 15 minutes prior to the specified departure time. The Operator will not be liable for any service that leaves or returns later than its specified time, even if as a result you miss a connecting service. The Operator will use its best efforts to ensure that departure and return times are met. 3.2 Where a deposit has been made on a booking and the booking is cancelled by you or your booking agent prior to full payment being made, or in the circumstances of the balance not being received by the Operator or their authorised agent by the due date, no refund of the deposit will be applicable, nor can it be credited or transferred to any other booking for a trip of a lower value. It may be possible to transfer the deposit to a booking for a trip of a higher value. 3.3 Cancellation of individual passengers from a multiple booking where a group discount applies ('4 or more' discount) may mean that the discount applied on booking will be forfeited, due to the qualifying criteria no longer being met. If the cancellation results in the qualifying criteria no longer being met then the prices for the remaining passengers on the booking will be adjusted, and any forfeited discount will be reclaimed through deduction in calculating any refund due to the cancelling passengers. 3.4 Private Group / Bespoke Tours - specific cancellation fees apply to each tour, the Operator will inform you of these prior to payment. A non-refundable deposit will be required at time of booking to cover any accommodation, third party supplier, meals and attraction costs. Where bookings include entrance fees to attractions, accommodation, involve accommodation upgrades or specific accommodation requests any cancellation fees incurred by the Operator will be passed on to you in addition to the standard refund policy. 3.5 If after your booking has been confirmed, you wish to change to an alternative departure date, or wish to change to another Glasgow Coach Drivers Tours tour, you may do so subject to the tour being available and a minimum notice of 30 days prior to departure. All departure date changes will incur an administrative fee of 20 GBP per person per tour. Date changes will only be extended within the 2013 operating season up to 3 months from the original departure date. 3.6 Tour changes to one of a lower value or seasonality will result in the loss of any special discounts applied to the originally booked tour and will be subject to an administration fee equivalent to the cancellation fee on the original product. 3.7 Tour changes to one of higher value or seasonality will require the difference in price to be paid. This may also result in the loss of any special discounts applied to the originally booked tours. 3.8 If the reason for your cancellation is covered under your insurance policy, you may be able to make a claim under that policy. 4.1 The tour products offered are forms of transportation. 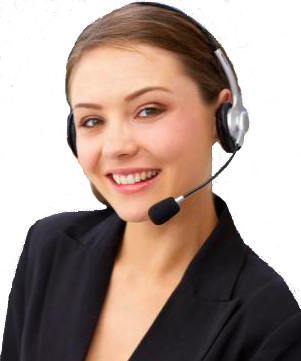 For this reason the Operators' representatives cannot offer constant special attention or assistance should you have any physical disability requiring such attention. 4.2 Passengers must be aged 5 or over and be accompanied by a person 18 years or over. There is no upper age restriction. 4.3 PASSENGERS WITH DISABILITIES are welcome on trips, provided that they are accompanied by a companion capable of providing all necessary assistance and do not require special assistance from the Operator's personnel. Any medical or physical condition requiring third party attention or treatment must be advised in writing to our Reservations Team at the time the booking is made. It is your responsibility to see to it that your letter is acknowledged with the booking confirmation. The Operator cannot guarantee travel in the absence of such an acknowledgement. Similarly if you wish to make a special request about any matter concerning your travel or accommodation you must do so at the time of booking. Again, it is your responsibility to produce an acknowledgement from our Reservations Team at the time of travel. We will try to pass on any reasonable requests to the relevant suppliers but we cannot guarantee that your requests will be met. The fact that a special request has been noted on your confirmation invoice or on any other acknowledgement is not confirmation that the request will be met. Failure to meet any special requests will not be a breach of contract on our part unless the request has been specifically acknowledged and confirmed as accepted by our Reservations Team. The Operator reserves the right to refuse to carry anyone if it is felt that the individual cannot cope with the requirements of the trip and who may require services and facilities that the Operator cannot guarantee will be available. The nature of the trips means that not every type of disability can be accommodated despite our reasonable endeavours. Most trips involve getting on and off coaches, sitting for long periods on coaches without toilet facilities, walking and other physical activities which may involve steps and stairs at sightseeing stops, visitor attractions and accommodation units. Coaches are not adapted to carry wheelchairs and do not have ramps, lift or low floor access. Collapsible wheelchairs can generally be carried in the luggage hold but you must check in advance with our Reservations Team to ensure that this is the case for your trip. The Operator cannot carry any motorised wheelchairs under any circumstances. You agree not to hold the Operator responsible for any decision made by them or by any service provider to refuse to carry you, provide any facilities or accommodation to you, or to provide any service to you in the absence of written acknowledgement and acceptance of your special request or of your disability from our Reservations Team. Please note that 100% cancellation charges would apply in these circumstances. 4.4 It is your responsibility to have a valid passport and all necessary visas, permits and certificates on your person for your selected itinerary and to have all necessary vaccinations and to comply with applicable laws. 4.5 You agree to comply with the authority of the Operator's representative and the laws and regulations of the countries visited, including customs and foreign exchange restrictions. If you do not do so, you may, at the discretion of the Operator's representative, be asked to leave the trip. No refunds will be issued in such circumstances. 4.6 You agree that the Operators' representatives may take photographs and films of you while you are a passenger. These may be used in the Operator's Group brochures and/or advertising and publicity material without obtaining any further consent or payment in respect of such photographs and/or films. 4.7 You agree that the Operator may use any text written in comments books, recorded in customer surveys or input to online forums, in Group brochures, websites and/or advertising and publicity material without obtaining any further consent or payment in respect of comments. 4.8 There may be times when the Operator's personnel have to make a decision in the interests of safety. It is a condition of bookings that you comply with the authority and decisions of the appointed representative of the Operator. If you do not comply with the said representative or are not compatible with the general enjoyment and well being of members of the trip, the Operator reserves the right to refuse to allow you to continue the trip. In such a case the Operator will not be liable for any refund, compensation or any additional costs incurred by you. The Operator cannot accept liability for the behaviour of others on your trip nor if any facilities are curtailed as a result of their actions. 4.9 The Operators do not tolerate any form of abuse, verbal or otherwise, of its personnel. Any passenger abusing or threatening personnel will automatically forfeit their right to onward travel. 4.10 You are responsible for looking after your personal belongings whilst travelling. The Operator cannot be held responsible for any personal belongings left behind or damaged on any trip irrespective of the circumstances. 4.11 It is the responsibility of the passenger to check the accuracy of dates booked upon receipt of their Booking Statement confirming 'Full Payment'. 4.12 If you paid a Concession price on booking, you will be required to prove this entitlement at check-in for each departure. Should you not be able to do this, you will be charged the difference between the normal brochure price and the discounted price in addition to an administration fee of 25 GBP. 5.1 You will have the opportunity to purchase local tours or excursions from your Guide. These tours and excursions are run by local operators and you will be subject to their terms and conditions. 5.2 Local tours and excursions purchased via Guides/Check-In staff are non-refundable. It is your responsibility to meet the tour at the designated departure point and time. Travel will only be permitted on presentation of the issued voucher to the named operator. 5.3 Local tour and excursion vouchers that are lost or stolen cannot be replaced. 6.1 There is no travel insurance cover included in the price of any tour or product represented in this brochure or on the website. 6.2 The Operator strongly recommends that you take out comprehensive insurance cover for cancellation, medical expenses, personal accident, personal baggage, money before you travel and our public liability is upto ￿50000 while you travel. You may also wish to indemnify the Operator against all third-party claims, actions, damages and remedies that may be brought against the Operator in respect of your travel needs/requirements. 7.1 Prices in this brochure are based on costs and exchange rates at September 1, 2014. Should these costs change it may be necessary to make a surcharge on the price of your tour. Should the total tour price increase by more than 10% you will have the right to cancel within 7 days of notification without penalty. 7.2 No surcharge in respect of costs or currency fluctuations will be made once payment of the deposit for your tour has been received. This guarantee excludes fuel surcharges and does not apply to any taxes, charges or levies imposed by any government or their agencies. In exchange for these guarantees, no refund will be made if costs are reduced. The surcharge will only be made where the increase in cost will affect the price of the tour by more than 2%. 7.3 The Operator reserves the right to vary, modify or cancel any itinerary, either part or wholly. If this is necessary, they will substitute alternative arrangements of comparable value, or at the Operator's discretion provide a full or partial refund. 7.4 The Operator reserves the right to alter or substitute the type of vehicle mentioned in the brochure or websites, depending on the number of passengers carried, which vary from tour to tour. 10.1 If you have a complaint in respect of any Operator, you should inform the Operator's Representative at the time. Any complaint that cannot be resolved by the Representative should be submitted in writing within 28 days of the incident to The Customer Services Manager, Glasgow Coach Drivers Limited 114 Lunderston Drive, Glasgow, G53 6BS, Scotland, United Kingdom so that your complaint can be passed to and then investigated by the Operator. The Operators will not consider complaints after the 28 day period. 10.2 The contract and all matters arising in respect hereof shall be subject to Scots Law unless the Operator agrees otherwise in writing. 10.3 If any provision of this contract is held invalid or unenforceable by any court of competent jurisdiction, that provision shall be deemed to be re-written to give effect to the same purpose within the permitted limits of the law. The validity and enforceability of the other provisions shall not be affected. 10.4 If you are unsuccessful in any legal action instituted against the Operator, you agree to pay all the Operator's costs, including but not limited to attorney / client costs. 11.1 The booking conditions detailed herein contain the entire contract between you and the Operator. No representation, term, warranty or condition can be expressed or implied by reference to any other writing, advertisement or conversation. This contract may only be varied by a duly authorised officer or Director of the Operator in writing. 11.2 Your contract is with the Operator. At any time, and at the Operator's complete discretion, the Operator may nominate to you in writing any other company or person to have the benefit of some or all of those provisions of this contract, which the Operator may then specify, as if you had agreed the provisions concerned directly with that company or person in the first place as well as agreeing them with the Operator. The Operator may at its complete discretion assign all or any rights and liabilities arising under or by virtue of this or any other contract with you. 11.3 All bookings with carriers and other service providers are subject to their terms and conditions and limitations of liability. Please note that some of these limit or exclude liability in respect of death, personal injury, delay and loss or damage to baggage. Whilst the Operator cannot accept any responsibility for any loss as a result of such actions or as a result of any act or omission of any such third parties, the Operator will give reasonable assistance in helping to resolve any reasonable dispute. 11.4 Many accommodation arrangements referred to in this brochure are provided by third party providers (unless stated otherwise). They are subject to the terms and conditions, and limitations of liability, imposed by the provider. 11.5 Every effort is made to ensure brochure accuracy at the time of going to print, however the Operator cannot be held responsible for printing and typographical errors, or errors arising from unforeseen circumstances. The programmes advertised in this brochure are valid for the 2015 operating season unless stated to the contrary. These Terms and Conditions supersede all previous Terms and Conditions issued and are valid for all reservations made on or after 1st October 2013, until replaced.